A Valium overdose can be fatal. Signs and symptoms of overdose warrant immediate medical assistance through a call to 911 or rapid access to a hospital emergency room. Overall, overdose symptoms reflect central nervous system impairments caused by the depressant and sedative effects of Valium. The chief characteristics of a critical benzodiazepine overdose are depressed respiration and cardiac functioning, typically related to a lack of oxygen and poor circulation. Labored, slowed or stopped breathing. Depressed respiration and cardiac functioning can also result in unconsciousness, stupor, coma and death. If you or a loved one struggles with misuse of Valium, call 1-888-993-3112Who Answers? 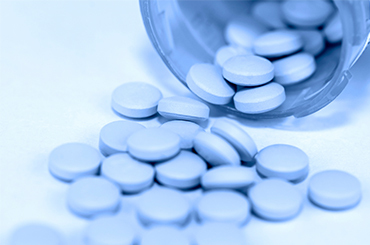 to speak with someone about your Valium addiction treatment options before overdose occurs. Polydrug use is the number one cause of all overdose fatalities. Polydrug use greatly complicates the effects of Valium and contributes significantly to overdose involving Valium. When combined with Valium, all sedating drugs such as alcohol, opioids, and other benzodiazepines can produce severe and prolonged respiratory distress and heart problems. There are also other prescription drugs, illegal drugs, over-the-counter medications and herbal supplements that cause overdose when used with Valium. The following are examples of adverse interactions and is not intended to be an all-inclusive list. Alcohol with Valium is a frequently abused combination that can lead to overdose. They have similar sedative and depressant effects and are misguidedly used to enhance the effects of the other. Alcohol consumption, however, can impede the metabolism of Valium causing elevated amounts to remain in the system as alcohol is consumed. When used with opioids or opiates such as methadone, OxyContin, etc., Valium increases the toxic effects of those drugs upon the central nervous system. Concurrently abusing these substances with Valium could decrease the threshold at which the inherent dangers of the opiate/opioid drug are experienced--even if a person has previously exhibited a tolerance for these drugs on their own. Monoamine oxidase inhibitors (MAOIs) for depression. Selective serotonin reuptake inhibitors (SSRIs) for depression. Antihistamines in cough and cold remedies. Heart and blood pressure medications. Emergency medical services should be sought immediately when an overdose is suspected or if signs appear. One should seek emergency assistance from paramedics through 911 or a hospital emergency room. Information about how much Valium was taken. During what time period was the Valium taken. The medicine bottle, if there is a prescription. Information about any other substance taken or typically taken by the overdose victim. Use Valium only through prescription and as prescribed. Refrain from all other substances that can lead to overdose when mixed with Valium. Herbal supplements you take can help prevent Valium overdose. You can also avoid an overdose by seeking help if you have started taking Valium without a prescription, or in greater amounts or more frequently than prescribed. Speak to a treatment support team member about Valium addiction treatment options, 24/7, at 1-888-993-3112Who Answers?. Overdose treatment requires emergency medical services involving a number of intensive care procedures. These include measures to prevent death or damage to the brain and other organs. If you or someone you know appears to have overdosed on Valium, you should seek help immediately through a call to 911 or by going immediately to a hospital emergency room. The amount of Valium taken. In the case of polydrug use, emergency medications that are used to reverse the effects of Valium can cause seizures, coma or death. For example, flumazenil is used to reduce the effects of a Valium overdose. However, seizures and death can occur in the setting of severe, acute benzodiazepine withdrawal--especially in a polydrug use situation that involves stimulant drugs like cocaine. Reporting all substance use is vital. This includes alcohol, prescription drugs and illegal drugs. Stomach pumping and/or induced vomiting. Use of ingested charcoal to reduce drug absorption. Use of devices to monitor heart and brain activity. Recovery efforts are best determined by the cause of overdose. If intentional, psychiatric services are needed. If an overdose is intentional, psychiatric services are needed.When coupled with a history of Valium misuse, care should include dual diagnosis services (simultaneous mental health and substance treatment). Intentional overdose suggests suicidal tendencies and warrants psychiatric hospitalization to manage the crisis. An unintentional overdose is without suicidal intent and is typically a substance abuse issue--consequently, Valium addiction treatment is certainly indicated as the patient recovers. Treatment can be done in various settings; however, an overdose typically indicates severe use, and therefore, warrants an inpatient or residential program stay. These can include private rehabilitation options in resort-like locations, featuring spa-like luxury amenities and executive facilities that enable executives to continue their professional responsibilities. APA. (1990). Benzodiazepine Dependence, Toxicity, and Abuse: A Task Force Report of the American Psychiatric Association. Washington, DC: APA (American Psychiatric Association). Barker, M., K.Greenwood, M.Jackson, & Crowe, S. (2004). Persistence of cognitive effects after withdrawal from long-term benzodiazepine use: a meta-analysis. Archives of Clinical Neuropsychology, 19:3, 437-454. Caplehorn, J., & Drummer, O. (2002). Fatal methadone toxicity: signs and circumstances, and the role of benzodiazepines. Australian and New Zealand Journal of Public Health, 26(4) , 358-362 . Koski, A., Ojanpera, I. (2003). Interaction of alcohol and drugs in fatal poisonings. Human and Experimental Toxicology, 22(5), 281-7. Koski, A., Ojanpera, I., & Vuorie, E. (2002). Alcohol and Benzodiazepines in Fatal Poisonings. Alcoholism: Clinical and Experimental Research, 26(7), 956-959. Martens, F., K?ppel, C., Ibe, K., Wagemann, A., & J.Tenczer. (1990). Clinical experience with the benzodiazepine antagonist flumazenil in suspected benzodiazepine or ethanol poisoning. Clinical Toxicology, 28(3) , 341-356. Olkkola, K., & Ahonen, J. (2008). Midazolam and Other Benzodiazepines. In J. Schuttler, & e. H. Schwilder, Modern Anesthetics Handbook of Experimental Pharmacology Volume 182 (pp. 335-360). Berlin: Springer-Verlag. Spivey, W., Roberts, J., & Derlet, R. (1993). A clinical trial of escalating doses of flumazenil for reversal of suspected benzodiazepine overdose in the emergency department. Annals of Emergency Medicine, 22(12) , 1813-1821. Veiraiah, A., Dyas, J., Cooper, G., Routledge, P., & Thompson, J. (3012). Flumazenil use in benzodiazepine overdose in the UK: a retrospective survey of NPIS data. Emergency. Medicine, 29(7), 565-569. Verwey, B., Eling, P., Wientjes, H., & Zitman, F. (2000). Memory impairment in those who attempt suicide by benzodiazepine overdose. Journal of Clinical Psychiatry, 61, 456-459. White, J., & Irvine, R. (1999). Mechanisms of fatal opioid overdose. Addiction, 94(7), 961-72.